This is part of a series of five posts detailing the top 50 musical theatre composers of all time. Compiled by The Stage associate editor Mark Shenton, it is based on success, influence and output, and ordered according to his judgement. It includes both the classic composers who helped create and define the genre in its golden age, from the 1920s to the 1960s, and beyond to those writing musicals today, testing and challenging the genre. Inevitably there will be omissions – literally thousands of musicals now make up the repertoire – but the 50 assembled here represent the cream of musical theatre composing talent to date. The Lion King is officially now the top grossing entertainment – in any media – of all time. It set this record in 2014, overtaking the previous holder of this title, The Phantom of the Opera, when it achieved worldwide grosses of more than $6.2 billion. That makes it more valuable than any single Harry Potter film. Or Titanic, or any of the Star Wars films. (By way of comparison, the highest grossing film in history is Avatar, with nearly $2.8 billion worldwide.) So pop star and composer Elton John, who wrote the songs for the original 1994 Disney film that was augmented for its 1997 Broadway incarnation by songs from Lebo M (who had provided choral arrangements for the film), is a major force in musicals for that alone. But he also continued his winning streak with the score for Billy Elliot, one of the best British musicals of the century so far, that ran at the Victoria Palace in London for more than a decade after opening in 2005. It is now on a big UK tour. 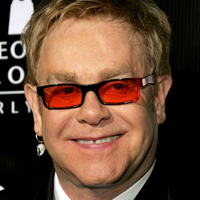 Elton John also scored the moderate Broadway hit Aida (to lyrics by Tim Rice) in 1999, though it has never been seen in the West End, and the short-lived Lestat (to lyrics with his regular pop collaborator Bernie Taupin) in 2006. 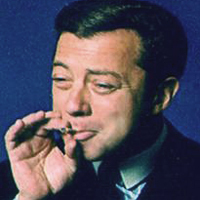 There isn’t a more chameleonic composer than Cy Coleman, whose personal signature is a tuneful eclecticism. Each work has a totally different sound, from the brassy, sassy Sweet Charity (1966) and the spirited, joyful charm of Barnum (1980) to the clever light operatic and film noir pastiches of On the Twentieth Century (1978, one of my all-time favourite scores) and City of Angels (1989). These are all superb scores, and I also love Little Me (1962), I Love My Wife (1977) and The Will Rogers Follies (1991). What a track record. I’m looking forward to Arts Educational Schools London giving a rare London outing to his 1997 Broadway show The Life in November. 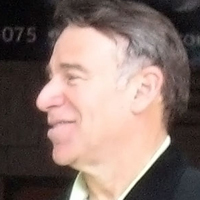 By the time Stephen Schwartz was 26, he had three hit shows running simultaneously in New York: Godspell (which opened off-Broadway in 1971 and ran for five years), Pippin (1972) and The Magic Show (1974). Pippin contains one of my very favourite theatre songs, Corner of the Sky (“Rivers belong where they ramble/ Eagles belong where they fly/ I’ve got to be where my spirit can run free/ Gotta find my corner of the sky”), but the show – about a quest to find the meaning of life – has never seemed to work dramatically, until director Diane Paulus set it inside a circus for a 2013 Broadway revival that totally reinvented it. It’s amazing to think that Schwarz, who is a youthful 68 years old now, has been a prolific composer for over 45 years. And although he had his early run of successes, he has also had a run of flops (The Baker’s Wife, which closed on the road in 1976 before it reached Broadway, Working in 1978 and Rags in 1986). So he truly earned the success of his 2003 return with his biggest hit yet when Wicked opened on Broadway and quickly became a sell-out phenomenon (in September it will also celebrate its 10th London birthday at the Apollo Victoria). During his fallow Broadway period, he also went west, to work as lyricist to Alan Menken on Disney’s Pocahontas and The Hunchback of Notre Dame, as well as providing songs for the Dreamworks feature The Prince of Egypt. 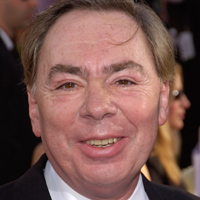 There has never been a more commercially successful British composer than Andrew Lloyd Webber – now a peer of the realm with a seat in the House of Lords as a mark of his economic and artistic contributions to British theatre, as well as one of London’s leading theatre owners, with the London Palladium and Theatre Royal Drury Lane in his portfolio. The Phantom of the Opera (first seen in the West End in 1986) is now the longest-running musical in Broadway history, and – until overtaken in 2014 by The Lion King – the highest grossing entertainment in any medium of all time. Phantom continues to play in both the West End and on Broadway and around the world. Cats, originally premiered in the West End in 1981 and which in its time set the record for the longest-running shows in the West End and on Broadway, is returning to Broadway this summer. Meanwhile, Lloyd Webber’s latest show, School of Rock, currently Tony-nominated on Broadway, has also just announced its West End bow at the New London Theatre in October. The latter was the composer’s first show to make its debut on Broadway ahead of the West End since Jesus Christ Superstar in 1971. 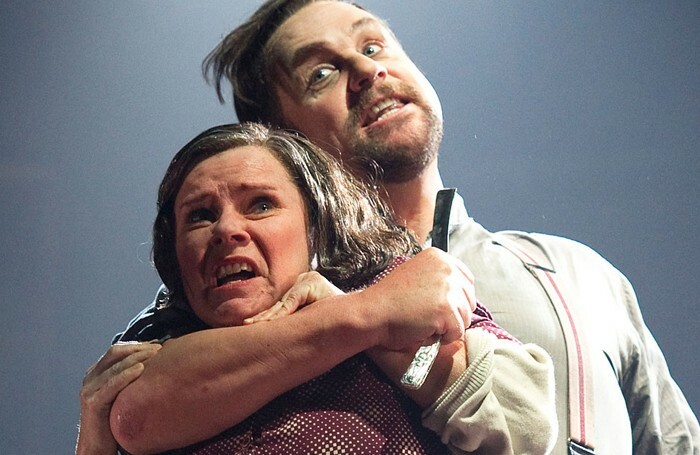 Superstar, one of the greatest rock scores ever written for the theatre, will incidentally be revived at the Open Air Theatre in Regent’s Park this July. It was one of three collaborations with lyricist Tim Rice that made both their names, including the perennially-touring Joseph and the Amazing Technicolor Dreamcoat (Bill Kenwright’s production is now in its 36th year of touring) and Evita. I love the eclectic, electrifying score for Evita; no Lloyd Webber score is without soaring, sometimes insistently memorable, melodies, though these have become sparser in his later shows such as The Woman in White and Stephen Ward. But Love Never Dies, his initially ill-fated sequel to Phantom, has a beautiful score, originally underrated owing to a malfunctioning book. It has since been tidied up (originally, uncredited, by Bill Kenwright, who came in to redirect the original West End production) and was seen to its best effect in a stunningly designed new production for its Australian debut, that was also filmed. 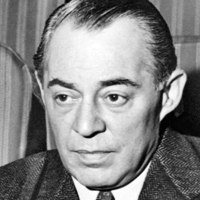 Of all Broadway’s golden age composers, Richard Rodgers probably had the biggest run of enduring successes – and the most extraordinary long-term collaborations with not one, but two great lyricists who pushed his work in different directions. The first was Lorenz Hart, which began in 1919 and ran to 1942, ending only when Hart died the next year. Their run of great shows included On Your Toes (1936, with a great centerpiece ballet, Slaughter on Tenth Avenue, by the great George Balanchine), Babes in Arms (1937), The Boys from Syracuse (1938, the first musical to be based on a Shakespeare play, The Comedy of Errors) and best of all, Pal Joey (1940, a very adult musical about an older woman who falls, inappropriately, for a young opportunistic nightclub singer, and includes the great song Bewitched, Bothered and Bewildered, in which she sings of her desire to “worship the trousers that cling to him”). But it was with Oscar Hammerstein II, who has already appeared in this list, that Rodgers really stretched the form with innovative treatments of challenging material, and some of the greatest songs in the popular musical catalogue. Together, they would become the most successful writing partnership in Broadway history. Each show in turn seemed to produce a series of hit songs. Oklahoma! (1943) included Oh, What a Beautiful Mornin’, and the title song, which became the state song for Oklahoma. Carousel (1945) gave us You’ll Never Walk Alone – later adopted as a British football standard – plus If I Loved You and What’s the Use of Wond’rin’. South Pacific (1949): Some Enchanted Evening, I’m Gonna Wash That Man Right Outta My Hair, Younger Than Springtime, This Nearly Was Mine and Happy Talk. The King and I (1951): Hello Young Lovers, Getting to Know You, Something Wonderful, I Have Dreamed and Shall We Dance. The Sound of Music (1959): My Favorite Things, Climb Ev’ry Mountain and Edelweiss. The latter’s Oscar-winning 1965 film became the highest grossing film of all time at the time. If this run of hit shows wasn’t astonishing enough, even R&H’s few flops are of enduring fascination, including Allegro in 1947 – a show that Sondheim has cited as a major influence on him – which is to finally receive its UK professional premiere at Southwark Playhouse in August. It includes the song Come Home which, in Audra McDonald’s spellbinding version of a studio cast recording of the score released in 2009, is my number one Desert Island Disc. 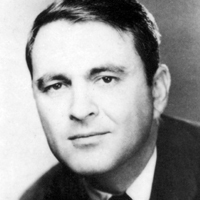 Rodgers continued to write after Hammerstein’s death in 1960, with lyricists that included a young Stephen Sondheim, Martin Charnin (whose other work includes Annie with Charles Strouse) and Sheldon Harnick, who worked on Fiddler on the Roof and She Loves Me with Jerry Bock, but none of those shows were hits. 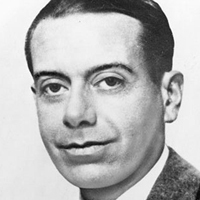 Few composer/lyricists ever matched the seemingly effortless wit, style and utter urban sophistication of the great Cole Porter in words and delightful melody. Though only a handful of his shows are revivable in their original form, including Kiss Me, Kate (1948), a backstage comedy based around a touring production of Shakespeare’s The Taming of the Shrew, and the Paris-flavoured Can-Can (1953), others have been re-crafted to be viable today, such as Anything Goes (originally produced in 1934, and overhauled in the version it is seen today in 1987) and a stage version of High Society that he wrote first for the film of the same name in 1956, and was seen last summer at the Old Vic Theatre, London. But in a Broadway career that stretched from his debut in a 1915 revue to the 1958 premiere of Mr Wonderful, as well as countless films, he wrote some of the nimblest, wittiest songs ever, from You’re the Top (“You’re the Tower of Pisa,/ You’re the smile on the Mona Lisa/ I’m a worthless check, a total wreck, a flop,/ But if, baby, I’m the bottom you’re the top!”) and I Get a Kick Out of You (“Some, they may go for cocaine/ I’m sure that if I took even one sniff/ It would bore me terrifically, too./ Yet I get a kick out of you”) to Brush Up Your Shakespeare (“If she says your behaviour is heinous/ Kick her right in the Coriolanus/ Brush up your Shakespeare/ And they’ll all kow-tow”). Others among his numerous songs that became standards include Let’s Do It, Let’s Fall in Love, Love for Sale, You Do Something to Me, You’d Be So Easy to Love, Ev’ry Time We Say Goodbye and In the Still of the Night. 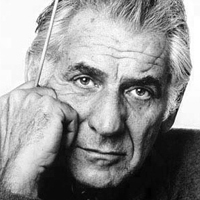 Composer, conductor and longtime music director of the New York Philharmonic, Leonard Bernstein was a classical musician turned Broadway showman whose scores for West Side Story (1957, to lyrics by a young Sondheim), and On the Town and Wonderful Town (1944 and 1953 respectively, both to lyrics by Comden and Green) are among Broadway’s greatest and most enduring achievements. Each of these shows is set in New York and captures the pulse of that city with electrifying zing and sparkle and brassy attack. He also wrote the magnificent, operatic score to Candide that includes one of his most haunting melodies, Make Our Garden Grow. He ploughed a fertile musical garden, though I only wish he’d stuck with Broadway and didn’t spend most of his career in interpreting classical music instead. But we can’t deny a man his passions and we have to be grateful for what we’ve got, which is some of the best music ever written for the Broadway stage. 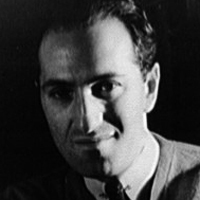 There’s no greater tragedy in Broadway composing history than the fact that George Gershwin died when he was just 38. In the 19 years he was active as a composer between 1916 and 1937, he created a virtually unsurpassed and prolific body of work that included one of the absolutely defining masterpieces of the repertoire in Porgy and Bess (premiered in 1935, and so demanding that it is usually done by opera houses now). Few of his other shows are ever staged in their original versions, but have been given makeovers that have reclaimed their scores and augmented them with other songs from his repertoire, such as Girl Crazy (1930, re-worked as Crazy for You in 1992), or entirely new shows created around them: My One and Only (1983) and Nice Work if You Can Get It (2012). He also wrote a lot of orchestral music, including Rhapsody in Blue (1924) and An American in Paris (1928). The latter was subsequently used in the film of the same name and has now been adapted for a stage version that again interpolates songs from elsewhere in his catalogue; it is currently playing on Broadway and heads to London’s Dominion Theatre in March 2017. Among his glorious output: ‘S Wonderful, Kickin’ the Clouds Away, How Long Has This Been Going On, Fascinating Rhythm, Embraceable You and I Got Rhythm. He certainly had rhythm himself, and a lot more besides. 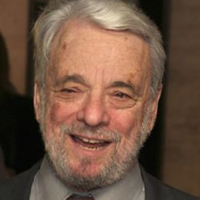 There’s no doubt that Stephen Sondheim is the ruling emperor of the modern musical. As Jeremy Sams, the British polymath composer, lyricist, adaptor and theatre director once said to me: “I venerate him as a human being and as an artist. The only thing I have against him is that he’s covered every exit and nailed it up and it’s very hard for everyone else. He’s to musicals as Wagner is to opera and the history of musicals will never be the same again until he’s written out of it and that will take a century.” It is difficult to underestimate Sondheim’s power and influence over the form, never mind the breathtaking audacity and beauty of his own wildly diverse repertoire. He has gone in new and unexpected directions with every show he has written, geographically as well as musically. While shows such as Company (which ushered in his most prolific decade in 1970) inhabit his own contemporary Manhattan milieu, others, such as Sweeney Todd (that bookended that illustrious decade in 1979), Pacific Overtures (1976) and Sunday in the Park With George (1984), have gone from Victorian London to ancient Japan and 19th-century Paris respectively. Each and every one of these shows is a masterpiece: I find it very hard to choose which of his shows I love more, though I’d say his greatest dramatic achievement is probably the sweeping, operatic Sweeney Todd. I also adore A Little Night Music (1973) and Into the Woods (1987), and his two brilliant shows set in a theatrical milieu: Follies (1971) and Merrily We Roll Along (1981). Arguably his most personal expression of the quest for artistic fulfilment, though, is Sunday in the Park With George, a truly magnificent work of art about the making of art, that was the first Sondheim I ever saw in New York in its original production. We are never far from a Sondheim revival these days, it seems, and the Menier Chocolate Factory is about to import Fiasco Theater’s 10-person actor-musician revival of Into the Woods from Off-Broadway in July. The Menier has become the de facto home of all things Sondheim in London, also originating revivals of Sunday in the Park With George and A Little Night Music that took both of those shows back to Broadway, as well as offering the London premiere of Sondheim’s most recent musical Road Show and a brilliant revival of Assassins.